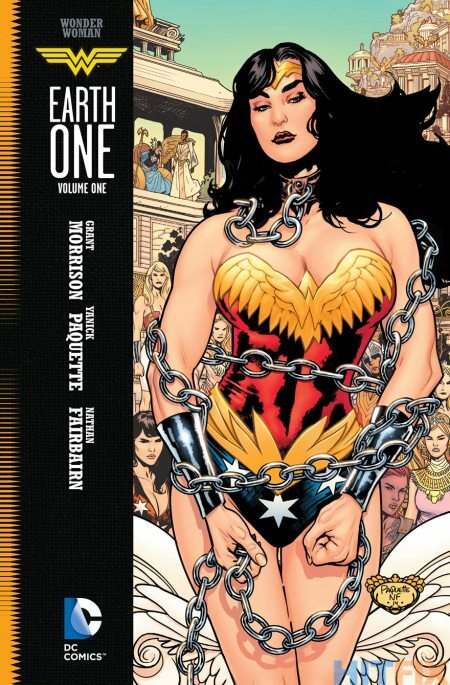 The long-awaited release of Grant Morrison's take on Wonder Woman's mythos is a step closer to reality as the cover of 'Wonder Woman: Earth One' has been released along with a synopsis. The collaboration with artist Yanick Paquette will trace the Amazon's origin as part of the best-selling Earth One graphic novel series. WONDER WOMAN: EARTH ONE - VOLUME 1 will be available in comic book stores on April 6th, 2016 and all other outlets on April 12th, 2016.